The narrative that the New Orleans Saints’ return to form in 2017 had to do with their “getting back to fundamentals” and running the ball is probably wrong. Sure, Mark Ingram’s 1,124 rushing yards and Alvin Kamara’s 728 yards look fantastic, but the Saints’ reliance on running the ball on early downs actually put them behind the chains at a greater rate than they had in the past. In the 1st half NO went 48% pass on 1st down in 2017 as opposed to 56% pass in 2016. That&apos;s taking the ball out of Brees&apos; hands. As a result of being more run-heavy on 1st down (even w/ a great run offense) they had more yds-to-go on 2nd & 3rd down in 2017. Thus, 3D % suffered. Their faith in running the ball didn’t really help them too much, but of course winning 11 games while running the ball will make people believe that you won because you ran the ball. Ingram’s 1,124 yards were on 230 carries for 4.9 yards per carry. It’s good, but not changing-the-outcomes-of-games good (Kamara’s 6.1 yards per carry, however, is elite, albeit on only 120 rushes). 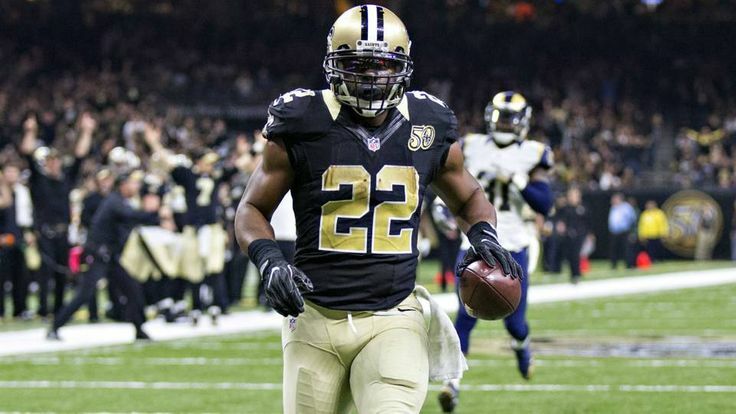 If the key to the Saints is their passing game, how does Mark Ingram fit into it? If you were going to rank the most important players on the Saints, it would be interesting to see where Mark Ingram rates. He’s not at the level of Drew Brees or Kamara, that’s for sure. Is he near Michael Thomas? I doubt that as well. The offensive line as a whole was excellent again this year. There are probably quite a few running backs who cost less than Mark Ingram who would reach the same heights running the ball that Ingram does. The thing that’s important about Ingram isn’t how good he is at toting the rock, but how versatile he is. With Ingram on the field, the Saints’ notable screen game is still wickedly impressive. One of the aspects of the Saints’ screen game that I’ve always enjoyed is how creative the offensive coaches get with their pre- and post-snap movement and play action aspects in order to set up a screen. With Ingram’s versatility, Coach Sean Payton can still call all these funky screens. Payton had three screens that he loved to run with Ingram, and they together they show Ingram’s utility. The first is your classic slip screen. This is your standard blitz-beating play. It’s not complicated, but what I enjoy the most is that by making Ingram fake a chip block instead of coming through from the inside of the guard or tackle, he doesn’t get caught up in the mess between the tackles. It’s the perfect vision of a “slip” screen. The next is another simple bubble screen. If we’re talking Ingram’s versatility, this shows it off. This is the type of play that Payton would call for Reggie Bush or Darren Sproles. The Saints aren’t afraid to use Ingram on a horizontally stretching play. They run this particular screen as an RPO (or so it appears). New Orleans is running a slant concept backside, so Brees will read the defender inside the innermost slant to decide whether to throw backside or to Ingram on the bubble. If those screens showed Ingram’s ability to catch the ball, this next one shows off Sean Payton’s continued creativity as an offensive dynamo. This is the piece de resistance. The run game concept the Saints employ for the play action portion of the play is zone action. This means the opposite end is left unblocked. How the Saints handle the unblocked player is with a split block. The split action sends a player who starts on the same side as where the offensive line is going back across the formation to block the outside defender. The O-line moving one way with the split blocking coming from the opposite direction creates a pocket. This protects the Brees long enough to allow him the time to turn back and hit Ingram. A nice change-up the Saints used was to put Kamara on the field with Ingram and use him to come across behind the line of scrimmage. He draws a lot of defenders’ eyes. They also used some other window dressing to add a layer of deception to the play. Here is the diminutive Tommylee Lewis being used on an orbit motion. The Saints’ screen game has always been dynamic and even with their more “pound the football” threat Mark Ingram, they are able to get into some nifty concepts. The interesting part about the Saints is how they are able to not just complement their pass game with screens, but also their run game with screens to a certain extent. The Saints ran the ball more than they really ever have with Sean Payton, so he made sure that a big part of his screen package was based around one of their classic run concepts.